When the cold wind comes, it’s time for tourists to visit hot mineral springs. Not only relaxing, bathing in these springs helps restore health, cure some skin, joint and heart diseases. Below are the seven hot springs for you in the northern Vietnam. Located in Cam Pha town, more than 10 km from the center of Ha Long city, Quang Hanh hot spring is familiar to local people. Lying on the tourism road from Ha Long to Van Don and Mong Cai, Quang Hanh hot spring is also the favorite stop for many tourists. You can choose your own bathroom or bath in a big outdoor hot mineral pool. Despite the cold, you will not feel shaky when soaking in hot mineral water of Quang Hanh. The mineral hot water not only helps the body relax but also works to prevent a number of diseases of the skin and joints. It is very good for health. 18 km south of the center of Hai Phong is the hot mineral spring of Tien Lang, which is no stranger to the people of Hai Phong and domestic and foreign tourists. Hot mineral water here is considered one of the best 5 mineral water springs in Vietnam, which is in the same kind with the source of famous mineral water in Russia, Czechoslovakia, Bulgaria and France. Being brought up from the deep drilling of 850m underground, the Tien Lang hot mineral spring makes visitors feel excited and grateful. 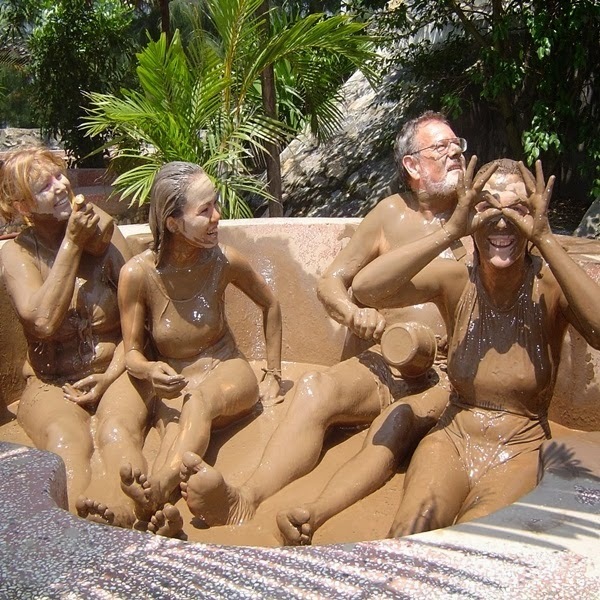 You can enjoy other services here such as mud baths, massage, herbal steam and others. The natural hot spring of Kim Boi in Mo Da village, Ha Bi commune, Kim Boi district, Hoa Binh province is 70 km from Hanoi. Among the hot springs in Vietnam, this spring has the lowest temperature, which ranges from 34-36°C. It is not hot enough to form steam on the water but the temperature and mineral content here are good enough for disease treatment and skin relaxing. After the bath, you can enjoy ethnic food culture and travel to nearby tourist sites such as Mai Chau and Hoa Binh waterfall. Located in La Phu Commune, Thanh Thuy district, Phu Tho province, 65 km from Hanoi to the northwest, Thanh Thuy hot spring is an ideal place to relax whether it is summer or winter. The average temperature of this hot stream is from 37 to 43°C, the highest is 53°C. Thanks to multiple micronutrient content, the Thanh Thuy hot spring is capable of rehabilitation, helps blood circulation, good for the heart. In the summer, the water is treated through the radiator to reduce the temperature to about 27°C. In winter, the water is warm enough to bath. Located in Yen Son forest, 15 km from Tuyen Quang town along Highway 37, My Lam mineral spring is an ideal address for medical tourists from everywhere. My Lam mineral stream is very clear and very hot, with temperature up to 60°C, taken directly from the depth of more than 150 m. With high levels of sulfuahydro, My Lam mineral spring is also called "sulfur spring." It is rated as one of the few good mineral water mines in the North. Besides reasonable service prices, tourists are also attracted by the peaceful and beautiful natural scenery, charming, gentle and hospitable people. The hot spring of Ban Moong in Hua La commune in Son La town is an interesting stopover. About 7 km from the center of town, the spring attracts domestic and international visitors by its mineral water of 36-38 degrees, which is very good for health. Compared with other hot streams, Ban Moong is special with traditional houses-on-stilts and Thai cultural characteristics. After moments of bathing in mineral hot water, Northwest cuisine will be greeting visitors before leaving. Kenh Ga hot spring is in Kenh Ga village, Gia Thinh commune, Gia Vien district, nearly 20 km from the city of Ninh Binh. To come to the hot spring, you have to take a boat across the Hoang Long River to the floating village of Kenh Ga. The hot water flows from the Hang Ca mountain, with the stable temperature of 53ºC all the year round. The water is colorless, odorless, tasting slightly tart, contain high levels of salts. 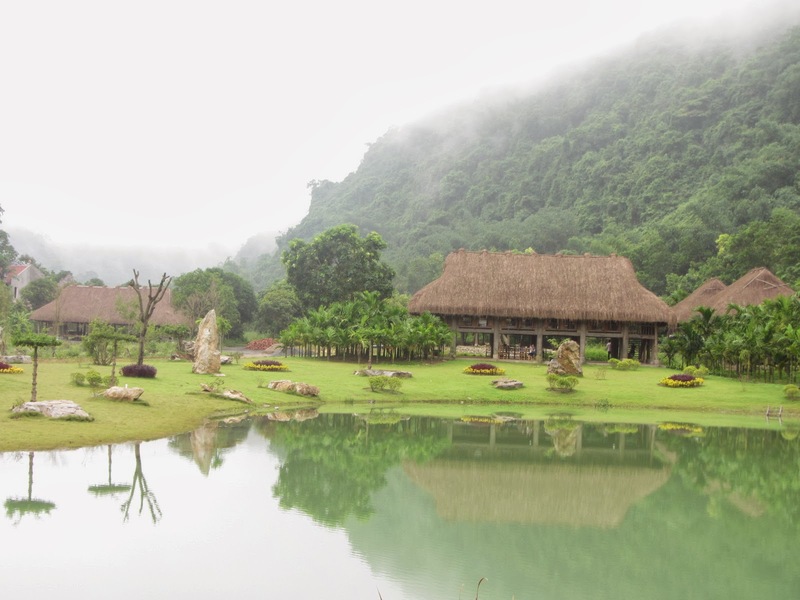 Kenh Ga is listed among the top five hot springs in Vietnam.